Last year, Clint Aaron, founder of 262 Cigars announced plans for a limited run cigar to coincide with the 50 year anniversary of JFK signing the Embargo. That signing occurred on February 7, 1962. With that date approaching, the details of the cigar are now surfacing. That cigar is going to be called the 262 Manifesto. 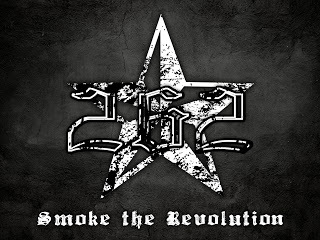 262 Cigars (formerly Revolution Cigars) was founded by Aaron out of Virginia. At the time of this writing, he currently has two blends in his line – the 262 Paradigm (In 2010, a Cigar Coop Honorable Mention) and the 262 Ideology (Cigar Coop’s #2 Aged Cigar for 2011). The name “262” represents the embargo signing – February, 1962. The 262 Manifesto represents the third blend and first limited edition cigar for Aaron’s company. The 262 Cigars website has been actively promoting this cigar. The current plan is that 262 boxes of 10 cigars will be produced – and these boxes will be distributed to ten authorized 262 retailers. The vitola is 6 x 54 toro. One thing Aaron has impressed me with is how he has really come up with some unique blends. Both the Colombian filler in the Paradigm or the Mexican filler in the Ideology have been interesting twists. For the Manifesto, while the Indonesian binder intrigued me, the integration of Honduran tobacco into the blend continues a theme I’ve seen in the cigar industry over the past year. We will continue to follow the 262 Manifesto as it is released.